SUMMER ENROLLMENT begins Mon, May 6th!! 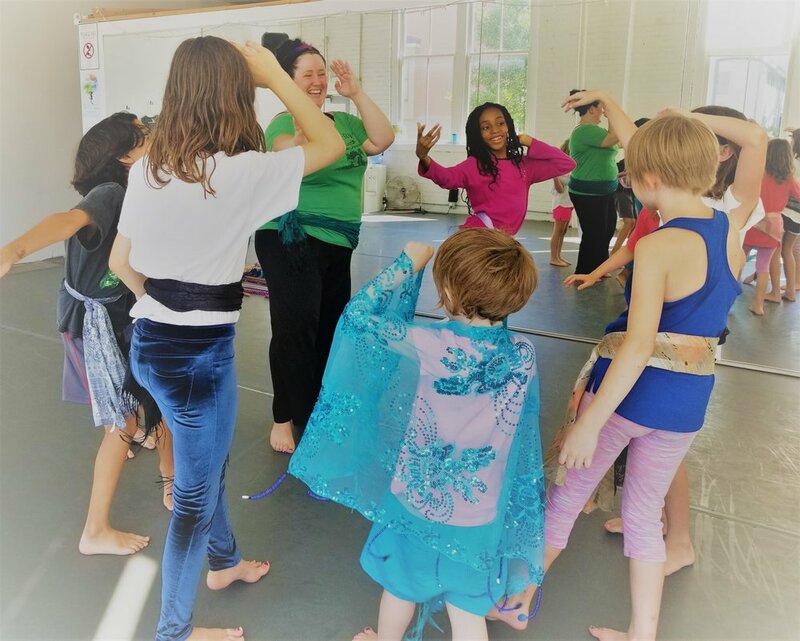 Expand your child's dance and cultural knowledge in this fun and informative class! Your child will learn various styles of dance such as sa'idi, kahleeji, and Nubian from regions throughout the Middle East: Egypt, the Levant, and the Gulf. We will explore the tradition behind the different styles of music, their rhythms, and create an interactive environment for these social and group dances. Join us for culturally informed movement and FUN! Props are provided. Comfortable, active wear is recommended. Students may choose to go barefoot.